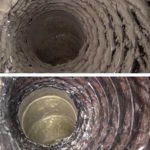 How often do you clean your carpets and air ducts? 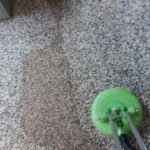 Sometimes the issues of your health are not farther away than a professional cleaning. 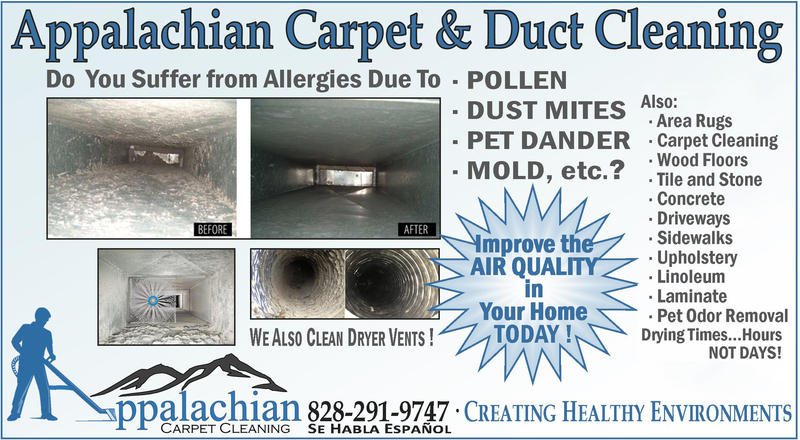 Here at Appalachian Carpet and Air Duct Cleaning we guarantee that type of cleaning! 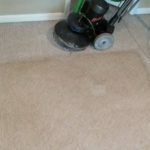 Regardless of how clean you keep your carpets, they accumulate a significant amount of dust, pollen, and other harmful elements that could cause lots of problems with you or your families health. 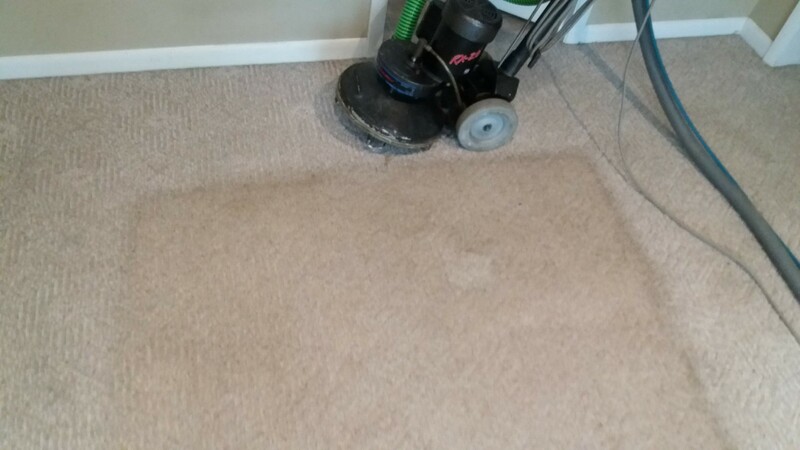 Soil accumulation does not have to be the only target in carpet cleaning. That is why we use professional carpet cleaning agents to help you get rid of not just soil but allergens as well. The patented system we use will not soak your carpets due to a low pressure spray with a high extraction of moisture. Therefore, your carpets will dry in a matter of a few short hours and not days! 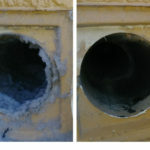 We use the custom-designed duct cleaning system called Roto Brush Air Plus. 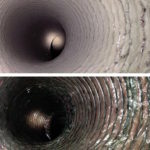 It provides an intensive cleaning of the vents and uses brushes to reach hard to get areas within the duct system. In addition to the duct cleaning, we use an anti-microbial sanitizer in each system. We also clean dryer vents in order to prevent dryer lint from catching fire and to ensure that dryers are working properly.